Wed., Mar. 12, 2014 7:30 p.m. 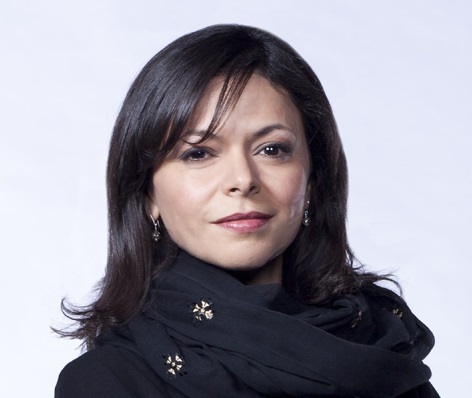 The 34th Annual Minifie Lecture is please to present Nahlah Ayed, a CBC foreign correspondent currently based in London. Her presentation is entitled "A beginning, a middle and an end: Canadian foreign reportage examined". For the better part of a decade, Ayed lived in and covered the Middle East for CBC television, radio and online. From Riyadh to Tehran, Beirut to Baghdad, Ayed traveled the region extensively, reporting from many conflicts and interviewing key leaders. She also covered the Arab uprisings from the start. Ayed is also the author of A Thousand Farewells: A Reporter's Journey from Refugee Camp to the Arab Spring. James M. Minifie is one of Canada's most courageous and illustrious journalists. He was born in England and emigrated to Canada in 1909, homesteading in Saskatchewan. He served with the Canadian Army in First World War, studied at Regina College and later Oxford as a Rhodes Scholar. As a reporter, he covered the civil war in Spain, Mussolini-era Italy, and reported from London during the Battle of Britain. Minifie became a fixture in Canadian radio and television news coverage, a familiar and trusted voice, as well as a noted author. In June 1980, the James M. Minifie Fund was set up to help support the School of Journalism at the University of Regina. The fund has provided the school with modern facilities for classes in all aspects of journalism.